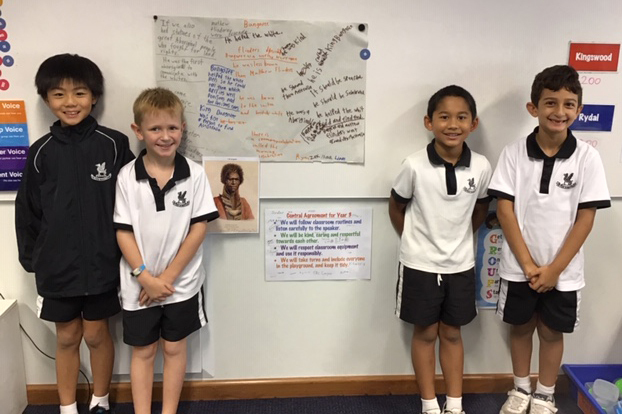 Stage 2 boys have been learning about diverse backgrounds throughout history and how this has played a role in shaping the local community. The unit commenced by learning how historians unlock the past using primary sources. In the study of history, a primary source is an artefact, document, diary, manuscript, autobiography, recording, or any other source of information that was created at the time under study. It serves as an original source of information about the topic. We then examined secondary sources. In contrast, a secondary source of information is one that was created later by someone who did not experience first-hand or participate in the events that were being researched. For the purposes of a historical research project, secondary sources are generally scholarly books and articles. After discovering how historians are like detectives who look for clues, we then looked at different types of communities. 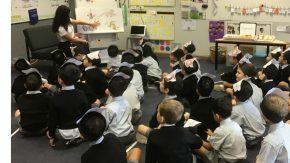 We started with the Newington Community and briefly looked at the history of Newington College. 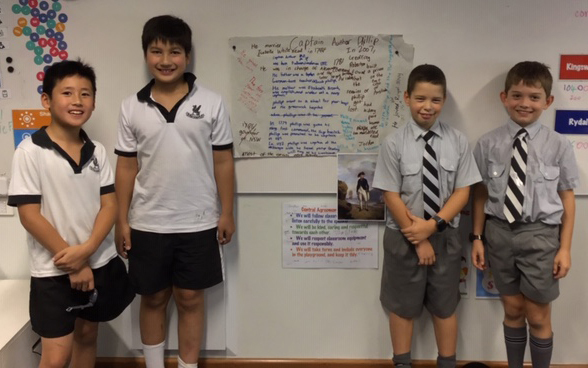 The boys then discovered other types of communities – urban, suburban and rural. They investigated communities and matched images to their findings and found that a community is a group of people living or working together in the same area. They realised that their own neighbourhood is a community, and that a town or city can also be a community. Finally, our third line of inquiry was about their historical investigation. 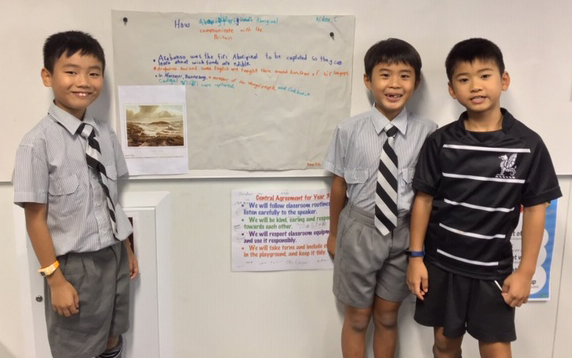 The boys completed their inquiry by researching five different areas of European Settlement in Australia. 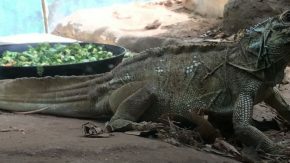 They loved the stories about various convicts and why there were sent to Australia. 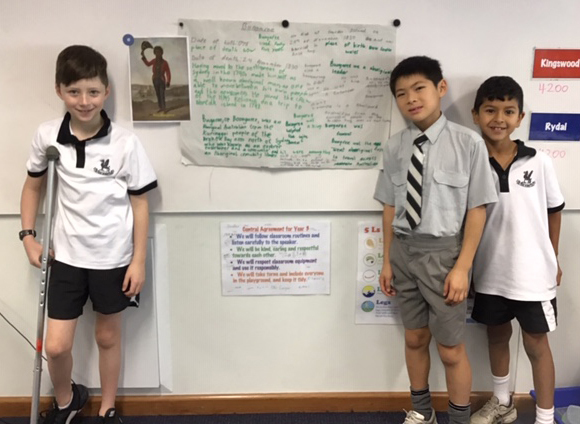 The boys followed the journey of the First Fleet and read about the harsh conditions the convicts endured for eight months. 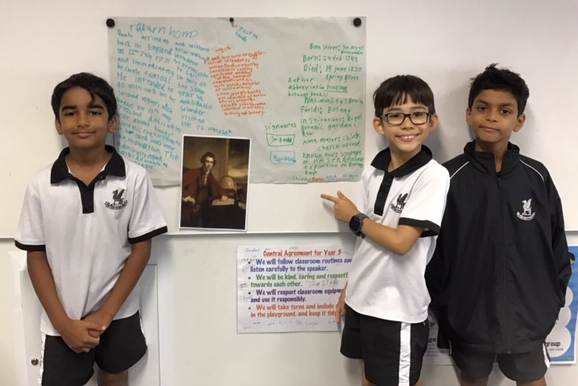 They studied Bungaree, an Aboriginal community leader who sailed with Matthew Flinders working as an interpreter and a guide, Captain Arthur Phillip, Joseph Banks and how the British communicated with the Aboriginal People. 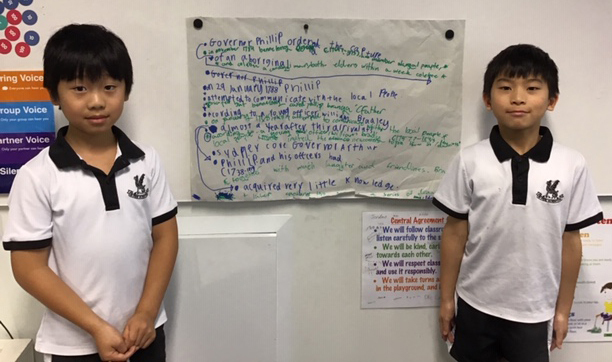 The boys were totally engaged with each lesson, and to conclude the unit, the boys shared their research findings by presenting them to the class, in small social groups.